As the name indicates rather clearly, this casino platform offers players a superior Bitcoin gambling experience. Superior Casino has been doing this since 2006, back when the industry was just starting to grow, develop, and popularize among a wider player audience. 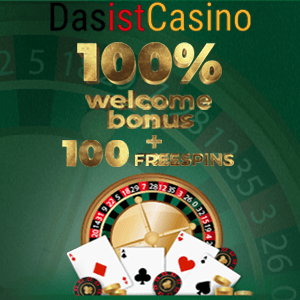 Nevertheless, this casino site has managed to attract a wide and varied player traffic using its many qualities, and has been successfully operating in the industry for over a decade now. Going through this Superior Casino review, you would gain further insight into the reasons for such prosperity. Starting from the software platform and game offerings, through bonuses, all the way to some of the most responsive customer support representatives, the player benefits are many and diverse. The fact that such quality online gambling services are available to US players gave this platform the needed rating boost to launch straight up among the top iGaming sites. Typing “SuperiorCasino” into your browser is an expressway ticket to an entertaining and highly rewarding experience, and considering the latest and most popular game titles are available straight from the home page is all the more reason to head over as soon as possible. The game selection is a unique combination of Rival Gaming and Betsoft game products, especially when it comes to the US players’ usual gameplay offerings. The collection of titles is neatly organized into a menu on the homepage, allowing players to head over to their favorite game types—slots, table games, video poker, progressives, specialty games, or even the recent addition of live dealer casino titles. Moreover, variety of game formats has created additional subtypes, and considering slots are the backbone of any decent online casino game selection, the Superior Casino online platform offers classic, video, and jackpot slots, as well as the interactive iSlots series. Table games still manage to cover all standard game variants, as do the live dealer tables at the live casino section. Video poker and specialty titles keep players from getting bored by their favorite games, but also boast enough rewarding potential on their own. We’d be remiss in this Superior Casino review if we didn’t mention how this casino platform addresses the needs of all player profiles, hence its name. While novice players will likely require something to let them go through a greater portion of the game selection without spending their cash, regulars are interested in redeeming their winnings as easily as possible. In this regard, new players who have just registered on the platform automatically qualify for the No Deposit $20 Bonus. This bonus is awarded to players automatically upon creating an account, and does not require any promo codes to trigger, but those benefiting from the free $20 bonus cash will need to play through 20x the bonus amount to redeem those winnings. Players may not be able to redeem this bonus via the Superior Casino tournament game action, but there are still plenty of slots to go through. If you’ve made your initial deposit as soon as registering for an account, there is yet another bonus with the purpose of boosting your bankroll. Namely, first-time depositors are able to benefit from a Welcome Bonus depending on their preference for slots or casino games. The former awards players with a 100% deposit bonus match of up to $1,000 with competitively low wagering requirements—15x the deposit + bonus amount. Should you prefer casino games, the 50% match up to $500 Welcome Bonus is a better choice. This offer comes with 35x deposit + bonus amount playthrough. The Superior Casino online platform provides a smooth and seamless experience, as its interactive and highly intuitive layout allows quick and easy access to all key segments. Players are able to load the pages in a timely manner and have made no recorded complaints of glitches in the game software during the casino’s decade-long operations. This design and accessibility is present across all devices, PCs, and mobile devices alike. Namely, players can choose to access said client via their computer, smartphone, or tablet browsers, or get the suitable Mac or Windows or iOS or Android app from the website, free of any Superior Casino download scam attempts. While the gameplay may be slightly scarcer on mobile devices, efforts are made to mitigate all differences, and this is most evident in the high functionality of the casino’s Cashier section. Accessible via all clients, there are fewer deposit and withdrawal options than the range offered at some other platforms. Nevertheless, these guarantee security, provide a low or no-fee policy, and prompt payment processing, which compensates for the lack of diversity. Players at Superior Casino will be able to deposit via credit cards, Neteller, PaySafeCard, Cashlib, EcoCard, Skrill or Bitcoin, but withdrawals are available with a few exceptions—credit cards, Neteller, EcoCard, Skrill, and Bitcoin. Superior Casino reviews encountered across the web are likely to praise the platform’s customer support team of representatives. With quick response times and knowledgeable representatives, there is no denying their contribution in maintaining the casino’s reputation of reliability. This is ultimately confirmed by the casino’s licensed and regulated status, as it bears the seal of the government of Curacao and employs high-end industry-standard SSL encryption. 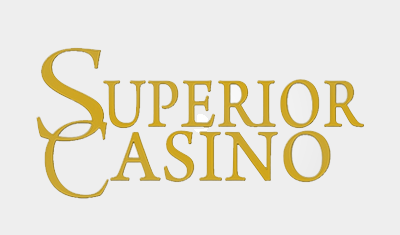 Superior Casino has definitely earned its name and rank via its services. While it may lack some titles in the game library, this Superior Casino review proves that there is still enough to keep players entertained and rewarded and keep the platform operating as it has done so far.